Have you ever wondered what the HopeNow Furniture Bank organization really looks like? Would you like to tour our warehouse and meet some of our volunteers? This is your chance! 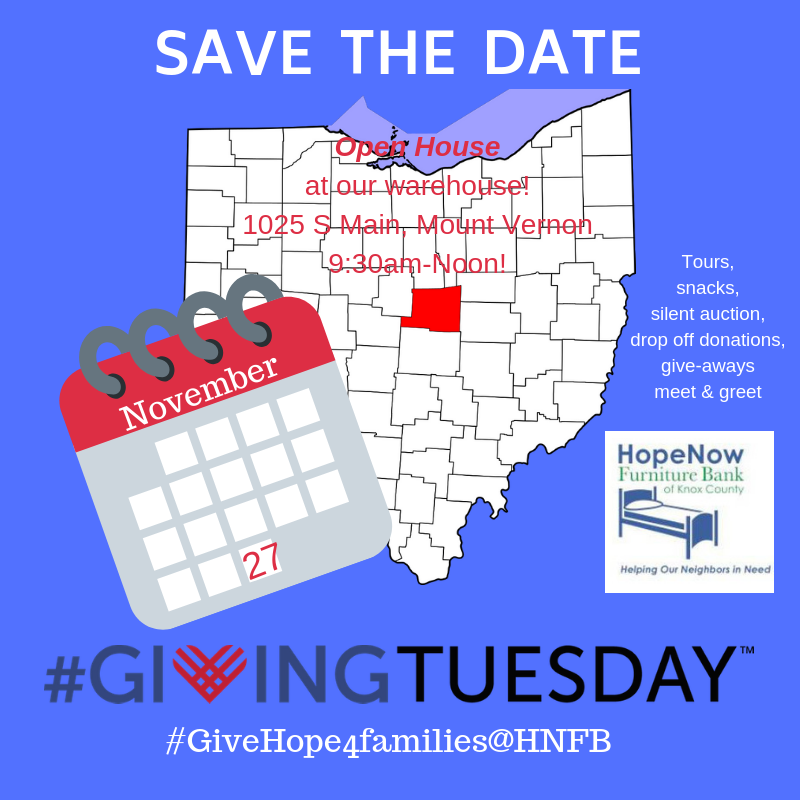 On #GivingTuesday, November 27th, we will be celebrating by having Open House at our warehouse at 1025 South Main in Mount Vernon. We will be giving tours, having silent auctions, give aways, and snacks. It is a time to meet and greet staff, volunteers and other supporters. We will be glad to accept donations of clean, usable furniture, new or clean and gently used bed linens, kitchen supplies, and of course, monetary donations to support our continued work. Come between 9:30 and 12:00 Noon. Our regular working hours will be conducted during the afternoon from 1-3:30 after the Open House. We would be happy to see you there and to share our mission with you. 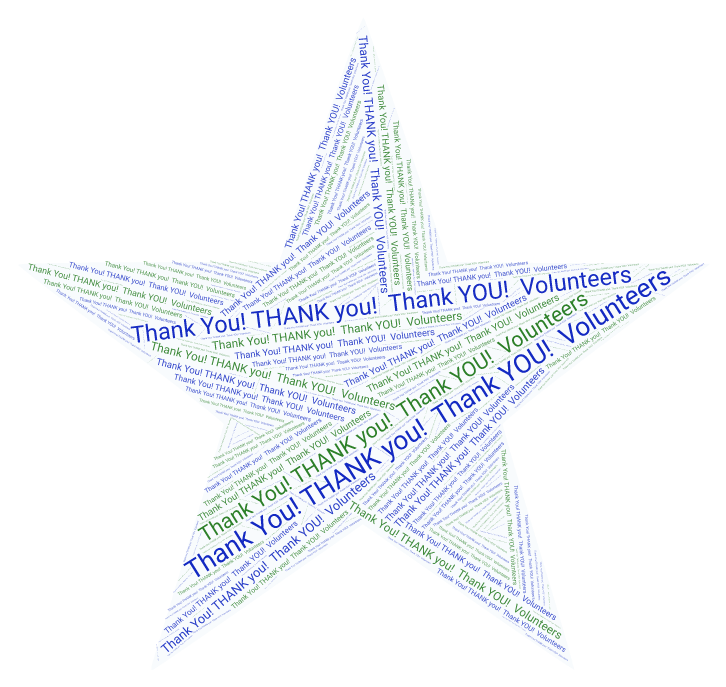 Tuesday, October 30th at 10 a.m. we will hold a training/retraining workshop for all HopeNow Furniture Bank volunteers. This is a (required) opportunity to meet with all of the other staff that you don’t often get to see. Also, we will review our policies and practices to be sure we are all on the same page and are doing things in the best way to serve our organization and our clients. In case someone out there is reading this and is interested in volunteering with us, we welcome you to this meeting! Bev Actis Hierl will be here and will be conducting the training, so it will also be a great chance to chat with her. Pizza lunch will be served. Put it on your calendar! HNFB volunteers are beginning the work to prepare for a crew coming in to do ceiling insulation of the warehouse. 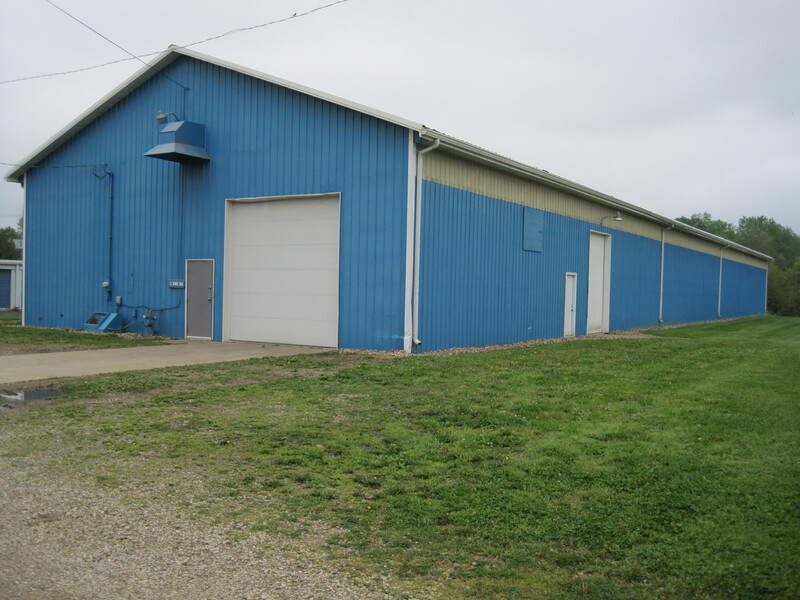 Since we are open year round, the temperatures in the warehouse can be very cold during the winter months. This insulation will help to keep the temperatures more moderate all year long. In preparation, mattresses, a lot of the furniture, and household goods must be temporarily moved. Some semi-truck beds have been rented to hold these things while the work is being done. While we have the opportunity, we also hope to do some thorough cleaning and prepare floor pads or racks to hold mattresses. The work is being underwritten by grant funds for which we are very thankful. Hopefully, the work will be done before the end of the month, but as of now, we plan our first reopen day to be Tuesday, November 6th. 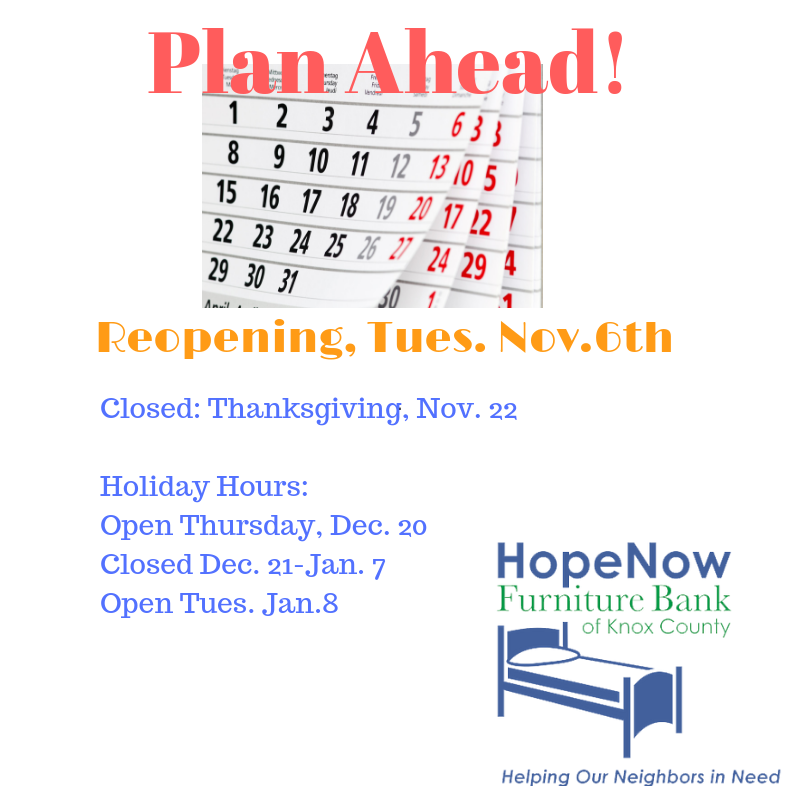 Due to repairs being made on the ceiling of the HopeNow Furniture Bank warehouse in preparation for winter, we will be closed from October 10 through the end of the month. The last day for pickups or donation deliveries this month will be Tuesday, October 9th.